Physician professional societies are responding to the proposed American Health Care Act (AHCA). Among the major bodies responding is the American College of Surgeons (ACS). 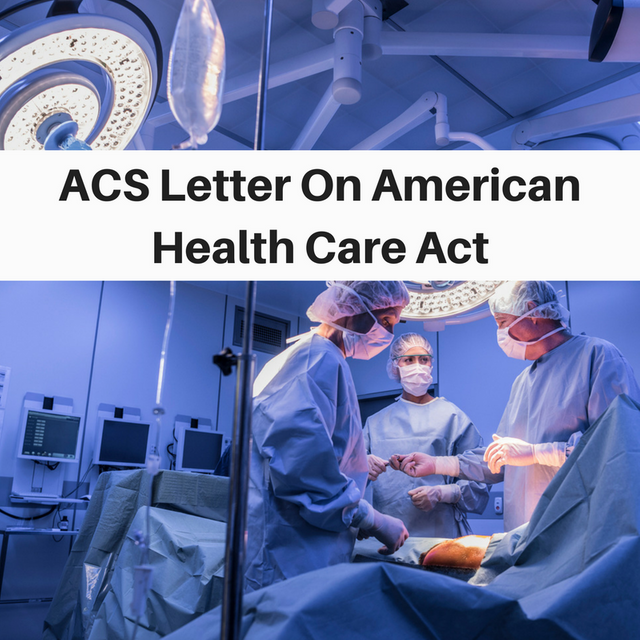 In a March 14th letter, the ACS highlights several key principles for healthcare reform legislation and "applauds the bill's sponsors for preserving the insurance reforms directed at pre-existing conditions...". Click the link below for the ACS's complete, balanced review of the proposed legislation. ACS remains committed to working in a bipartisan manner with Congress and the new administration to improve the current health care system to ensure that all patients have coverage and access to high-quality surgical care.